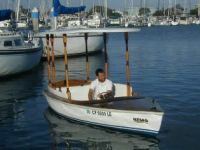 Ventura Boat Rentals is your one-stop shop for boat rentals. From kayaks and SUP boards to pedal or power boats, we’ve got every vehicle you can possibly think of! We now offer Jet Ski rentals, too. Undecided? Give us a call – we’d be happy to help you find the right vehicle for your party and interests.